Sally is a fully qualified Practitioner of Clinical Hypnotherapy with extensive experience in the private and corporate sector. Having gained her original Diploma in 2005, she has since completed over 300 hours of advanced training in the areas of Pain Management, Advanced Analytical Hypnotherapy, Medical Hypnotherapy and Hypnosis for Therapeutic Transformation. As an integrated therapist with over 20 years combined experience, you can feel assured that you will be taught by a therapist that has trained with the world renowned Andrew Newton & Dr John Butler and taught 100’s of students all over the UK. Sally runs a full-time practice and understands what it takes to be a success in this industry. Meira Shore is an experienced hypnotherapist and NLP master practitioner with a strong track record. She works from Graceland's Yard in London NW10 and at the Healthy Living Centre, London N1. Through hypnosis and NLP, Meira provides a caring, empathetic, relaxing, compassionate and confidential approach in helping relieve stress, anxiety, panic, phobias, unwanted habits and addiction (e.g. smoking, overeating, binge drinking) she helps with lack of confidence & low self esteem, disturbed sleep patterns, fear of exams and public speaking, stage fright, fear of flying, and much more. She also works with pain management, Hypno-Birthing and natural child birth, as well as anger management and relationship difficulties. Meira is truly passionate about her practice and the belief in the human spirit and the ability to self heal. Diploma of Hypnotherapy, (DHP Acc. Hyp) and Certificate NLP Master practitioner and coach from ITS. TFT (Thought Field Therapy) practitioner. Faith gained her Diploma in Hypnotherapy in 1996 and began practising on a part-time basis. 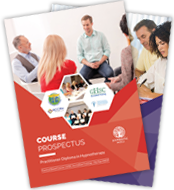 After a short period of time, she built a reputation in her area which enabled her to set up a full time practise and for many years went on to help thousands of clients with issues ranging from addictions, self-esteem, weight management, sport performance and a host of other conditions that clients require help with, receiving regular referrals from GPs for help with patients with anxiety and phobias and working on a voluntary basis with the National Phobic Society. 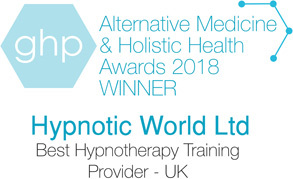 In 1999, Faith co-founded the Hypnotic World website and in 2000, in response to many requests from past clients who had benefited from hypnotherapy, launched the Hypnotic World International Academy of Hypnotherapy (HWIAH) to teach others interested in helping others in the same way. Faith has been instrumental in teaching mental health care professionals, has featured in BBC’s Kick the Habit programme, held a popular, regular spot on local radio and written many articles for professional journals. 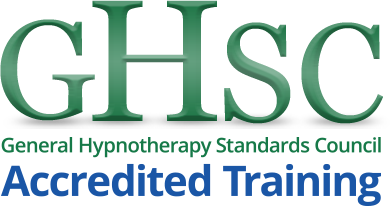 She is primarily involved in designing the Professional Hypnotherapy Diploma Programme and day to day running of Hypnotic World, providing resources and guidance to hypnotherapists from all over the world and a valuable support system for students of hypnotherapy.